RV Tire Safety: Tire Failure because "Made in xxxxx"
After two 0909 BFG Commercial T/A Tires failed on my RV within a "day" of travel and 400 miles, I sent the second tire (I sent you a photo)which failed catastrophically to BFG and they said the failure was "run flat" related and denied my claim. The tire was fine and fully aired when I checked it that morning (after 3 weeks in the campsite)and it failed within 2 hours on the road. Replacement Tire on that wheel and valve has not lost air. To me that was too much of a coincidence and coupled with the recall of my newest BFG Tire I really was surprised they wouldn't compensate me at all when probably the most likely cause was some tread delamination. That tire was the rear drivers side so it had 4 tires in "front" of it. Just because it was fully inflated 2 hours before the failure does not mean you didn't drive on it after it lost air. It only takes a mile or so to shred a tire that has lost 50 to 80% of its air and it doesn't take much time to deflate a running tire. Without actually having the tire to examine it is difficult to confirm or refute the BFG reply. The pictures are not high enough resolution and only show one sidewall. Take a look at some of the posts with "failure" as a label and you will see that many times a close up is needed to confirm or deny a claim. Sorry I can't provide more info. 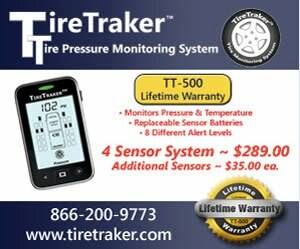 If you had a TPMS you would have been able to report that there was no warning of any loss of air prior to the failure. 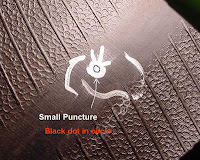 You do realize that more rear tires fail due to cut or puncture than front tires. First of all I want to let you know I enjoy your interesting articles on tires and tire safety. As a retired professional longhaul/construction driver of 38 years, I appreciate this critical piece of equipment. My question is about dents in the sidewalls. My car haul trailer that I tow behind my coach has three of four tires that have noticeable sidewall dents. I asked the trailer manufacturer who had his tire shop inspect them and their evaluation was that it was just the steel belts seam. 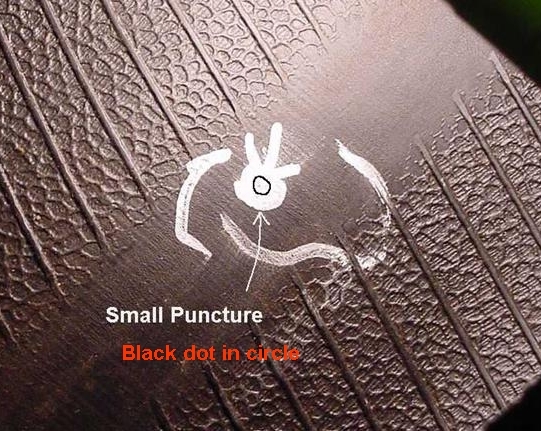 Is this accurate and will it cause a tire failure at highway speeds which is most of my travel? Look forward to your expert opinion. Quick answer to put your concerns at rest. Splices are where there can be an extra layer of cord. This means the loads on the cords are lower so they stretch less. Most of the tire stretches a littel when inflated but the area with extra cord does not stretch as much so it looks like a dent or depression. 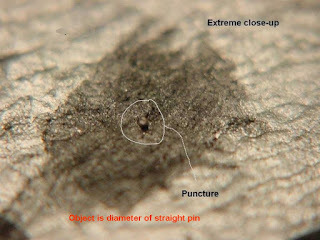 A bulge out over a small area of 1/2" to a couple of inches is of concern and MUST be inspected ASAP as you can be looking at a potential blowout. I will do a post on this as soon as I can come up with appropriate pictures. I will take some pictures of my tires and send them to you if it will be helpful. Please let me know where to send them. John. My email is given at end of paragraph under my picture. 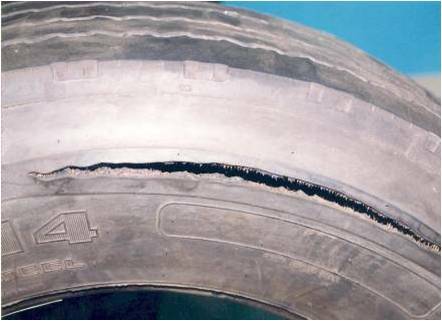 It sounds like rather than a sidewall "blowout where all that was left on the wheel were parts of the sidewall, you had a tread separation. Check out the post on "Blowout Real Life to learn more. I think you may have had a tread/belt separation that comes from long term heat and sometimes just age. 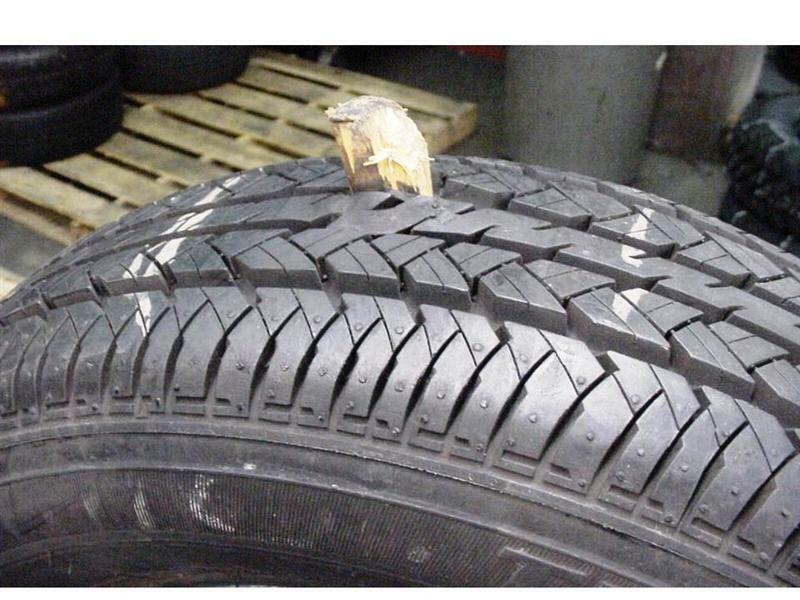 RE what is a good tire. I would ask your dealer if they offer a multi year warranty that includes road hazard too. If they don't offer such then I do have to question how good they really think their tires are. For trailer application the "age" limit is shorter than for Motorhomes.5 years seems to be the limit for multi axle trailers with ST type tires but only that long if you always run the pressure on the tire sidewall and never exceed the 65 mph max speed for those tires and have confirmed you are running less than 90% of the Max load on each tire. You can email me directly My address is posted under my picture on the right.